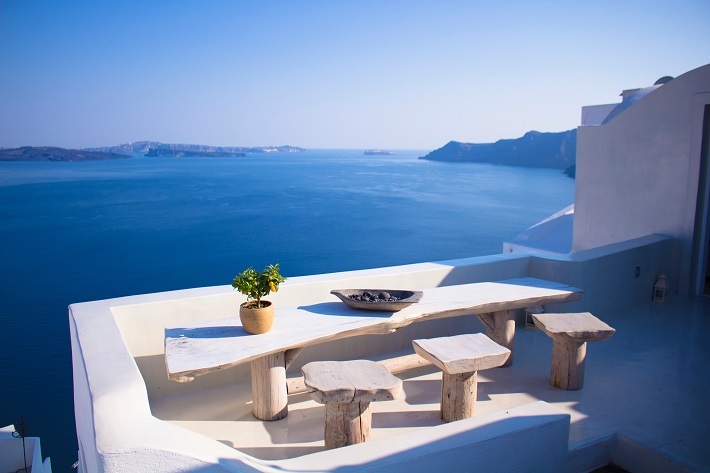 Santorini is possibly the most striking of the Cyclades islands, with a string of whitewashed villages sprinkled over the top of towering black cliffs that form the rim of a dormant volcano. Ships can’t drop anchor here as the sea is so deep, so you’ll tie up to a concrete bollard at the base of the cliff and be ferried ashore by tender boat. Then, there are three ways to get up to Fira, the island’s glitzy but busy little capital: cable car; hiking up the zigzag path; or for a few Euros, braving it on a donkey. 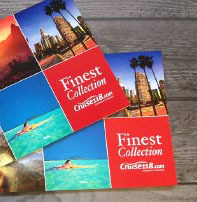 Fira itself is wall-to-wall souvenir shops and jewellers. Expensive cocktail bars occupy the prime spots, with breath-taking views across the caldera and the glittering Aegean. Although you pay a premium for the view, if your ship is sailing late, do take up position in one for a spectacular sunset. We love PK Cocktail bar, near the cathedral, which does food as well as classy cocktails (paliakameni.com). If you have a day in port, hop on the bus or join a tour to Oia, spilling over the black cliffs on the northern tip of the caldera. 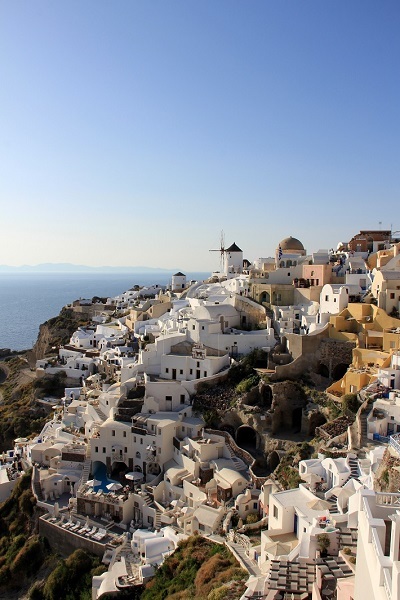 It’s quieter than Fira, with boho shops and galleries lining the whitewashed alleys. 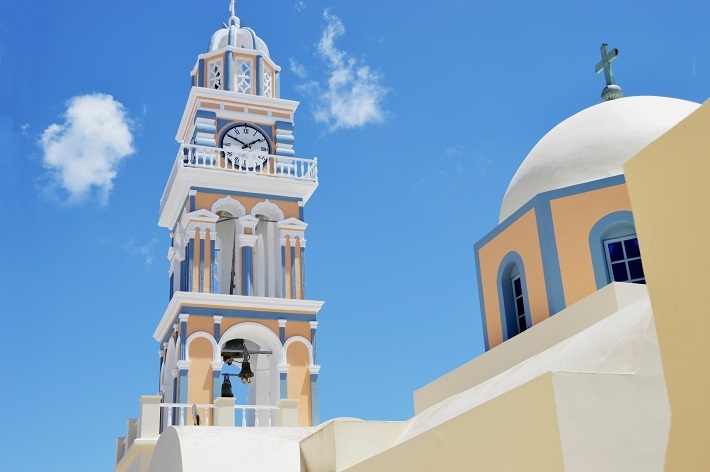 It’s also in Oia that you’ll get that iconic Santorini snap of the blue-domed church against an indigo sea. Stay for lunch and try the local specialities of white aubergine and fava beans with a chilled island wine, or a lunchtime mezze of salads and dips. Archaeology fans, meanwhile, should join a tour to Akrotiri to see the ongoing dig there, which has revealed one of the most important Bronze Age settlements of the whole region. Fancy some exercise? Join a boat trip to hike up Nea Kameni, the islet in the middle of the caldera; a stony little cone with wisps of sulphur wafting from between rocks near the summit. The views are sensational and the reward afterwards is a cooling swim over the springs that bubble up from the seabed.